Bone broth and meat stock have been a staple in our ancestors kitchens for millennia. Whether it was the soups and stews that mothers and grandmothers made for their families in the cold wet months, or the chicken soup you were served when you weren’t feeling well, a warm and nourishing broth has been a primary functional food for mankind all over the globe throughout time. Lately there has been a wonderful revival of these healthy recipes and appreciation of the benefits they bring. Both bone broth and meat stock are easy to make and excellent to have on hand in the pantry. Quality ingredients is critical to the nourishing value of your broth or stock, only clean and pasture raised bones and meat are recommended. Bone broth and meat stock are not actually the same thing, there is a difference between the two. Bone broth is made from just what you might think: bones. A variety of bones gently boiled for hours at a time makes for a wonderful rich broth. 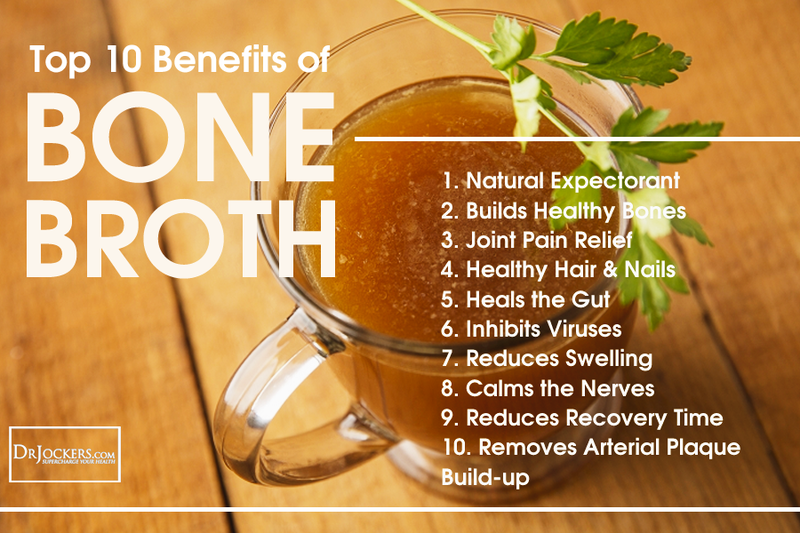 Remember that our ancestors never wasted anything so some of the best ingredients in bone broth might seem a little weird at first. The best bone broth is made with joints and feet, even heads. I know. 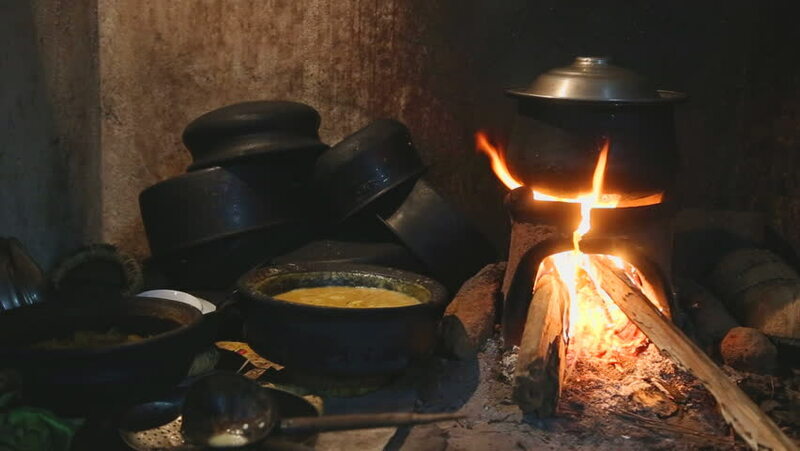 It’s hard to imagine our great grandmothers boiling heads and feet in the kitchen and the family happily consuming the soup. But, once we get past how strange that seems to us today and understand why these parts were chosen it won’t seem so odd. Bone broth, when cooled, should be very gelatinous. The gelatin and nutrients in a good bone broth comes from the cartilage, marrow, and other things found in these bones in particular. 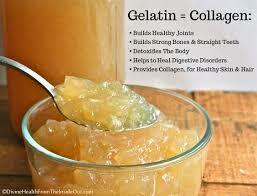 The gelatin is the valuable part of a good bone broth because gelatin has been known to treat and aid in the recovery of a great many ailments, contain minerals and vitamins necessary for vital health, as well as being adding fantastic flavor to soups and stews. 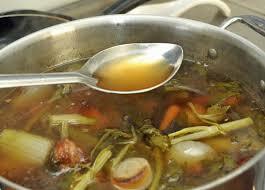 Meat stock is made with roasted bones and meat with a variety of vegetables and is also simmered for hours at a time. Meat stock has a greater variety of minerals, vitamins, and other nutrients that our bodies need (some of which we pay a lot of money for in the form of supplements today) than bone broth. Meat stock won’t be gelatinous like bone broth because the added ingredients change the composition of the soup. Though there will still be some gelatin in the meat sock, all of the other good stuff in the meat stock mutes the gelatinous texture of the cooled soup. Both bone broth and meat stock are a rich nourishing traditions of our forefathers and excellent for making a multitude of comfort foods. The best part of is that making a large pot of broth or stock is simple and can be canned and stored in the pantry, or you can freeze your broth or stock and keep it for several months, pulling out only what you need when you need it. At Tikkun Homestead we are pleased to be a source for healthy bones and meat for your family. Our animals always have access to a variety of minerals in addition to the plants they eat while grazing to ensure that they have a strong balance of necessary vitamins, minerals, and other critical nutrients. What our chickens, lambs, and cows eat gets passed along to you when you eat meat from Tikkun Homestead. 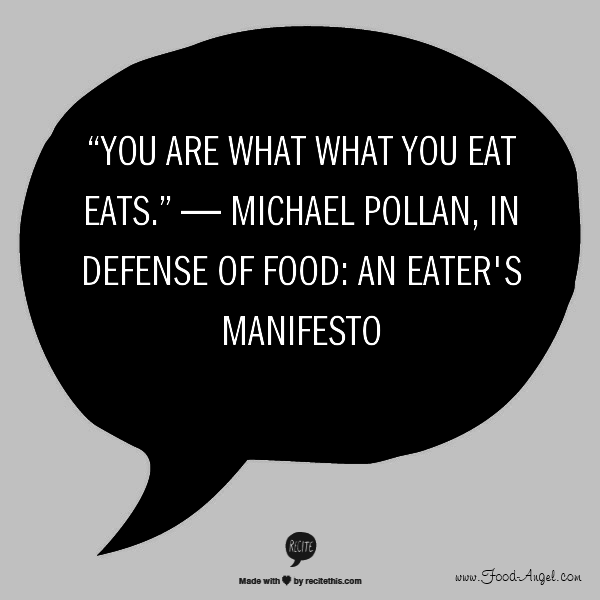 For more information about our meat, see the tab at the top of all of our pages called Pasture Raised Meat & Eggs.